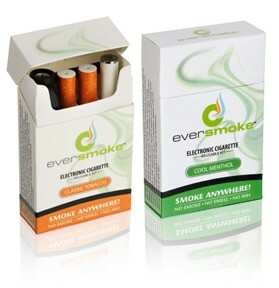 EverSmoke is a brand that strives to offer the best technology in their products as well as a great experience for their customers. One of the major highlights of EverSmoke is their outstanding vapour production which provides and authentic sensation that allows users to enjoy every puff. EverSmoke aims to provide all the richness and intensity of a tobacco cigarette but without all the threats to health that are associated with them. 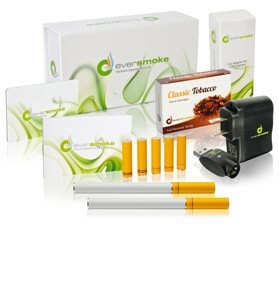 With EverSmoke, users can enjoy a pleasant sensation from a quality product, supported by an excellent customer service. Ever Smoke is a fairly new player in the e-cig market, but really did a good job at developing a high performance electronic cigarette at very competitive pricing. Overall great performance and solid flavor throughout. From the moment you visit EverSmoke’s website, you notice the attention that the company gives to every aspect of their products. There is a vast amount of useful information and advice that is particularly helpful for new users. The design and presentation are simple but visually attractive and evoke the pleasant and relaxing sensation that you can get when you vape an EverSmoke e-cigarette. Electronic cigarettes are a quickly growing industry. In a world where it seems competitors can’t outdo themselves fast enough by adding countless bells and whistles, it refreshing to see a company focus on the principals of simplicity. As Eversmoke say themselves on their site, “At EverSmoke, it’s the simplicity we focus on – simplicity of use and maintenance for our customers.” EverSmoke electronic cigarettes offer 2-piece construction and refillable cartomizers. This means easy upkeep and use for the user. See below as we’ve taken excerpts from Eversmokes’ site explaining the different components of the product. 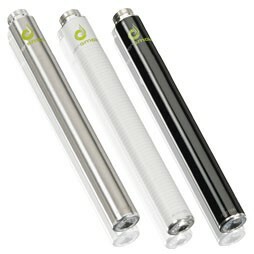 There are also various accessories availables to go along with you e-cigarette such as carrying cases and lanyards to keep it handy at all times. guarantee a smooth draw, resulting in the highest level of vapor production The vapor is released easily, providing an intense sensation that lingers on. You can get a substantial amount of vapor with each puff, which is very satisfying. I, in particular, have tried many e-cigs and while some of them are quite satisfying, more often than not I find that they are simply a little too lite for lack of a better word. Speaking from the position of someone who used to smoke more than a pack a day I can tell you that typically they were satisfying but still slightly lacking. No such problem with Eversmoke; right from the get go you have a wholly satisfying puff that gives that familiar throat hit reminiscent of a real cigarette. For those looking for a health alternative a good throat hit is a godsend and Eversmoke is certainly not lacking in that department. 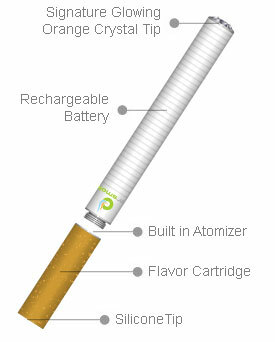 EverSmoke’s electronic cigarettes were developed with the latest and most advanced battery technology. All of their packages contain a high a low capacity battery so you can customize the experience to your needs. The batteries are the longest lasting lithium-polymer batteries and is their own proprietary technology. 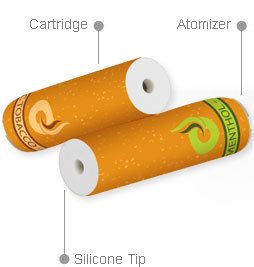 It is designed for maximum vapor and performance and is available in a variety of sizes and colors. 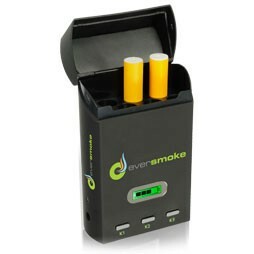 The typical user will see that the small capacity batteries will last a little less than a day (about 1 cartridge) while the larger capacity batteries will last 350 puffs according to Eversmoke. For those of your worried about battery life there are a multitude of accessories available to make charging easy for you. 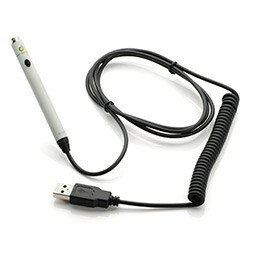 These include UBS chargers, Wall Adapters, Car Adapters and even a portable recharging case! We found the charging case to be particularly handy and it’s no bigger than a traditional pack of cigarettes. In terms of flavours Eversmoke is known for the richness of their tobacco blends and the wholly satisfying throat hit they offer. These qualities make it the perfect option for heavy smokers looking for a healthier alternative. You can enjoy their intense Golden Tobacco, their smooth Royal option, or their enjoyable Classic Blend. For those looking for something a little different Peppermint Party and Cool Menthol offer great alternatives and refreshingly delicious. If you’re more of a sweet person you should try their delicious Very Vanilla, their juicy Cherry Crush or the summer feeling of their Peach Passion. If you need a little extra kick and the same enjoyable sensation, try their energizing Coffee Creation. If you’re feeling a little more daring you can always try out their festive Pina Colada. 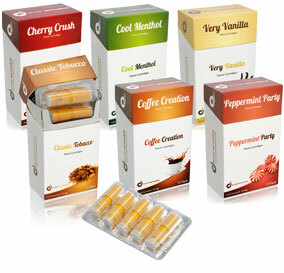 If you, like me, couldn’t decide which of the 10 flavors sounded the best they also offer a sample package which contains one cartridge of each flavor. It’s perfect for the new vapor or the enthusiast looking to broaden their horizons. If you want more accessories, you can add a few extra dollars and get their Basic Starter Kit for just $49.99. This kit is Eversmokes most popular and gives you all the elements that you need to begin your life as an electronic cigarette enthusiast. This includes two Lithium Ion batteries (one high capacity and one standard capacity and you can decide if you want them to be manual or automatic), one wall adapter, one USB charger, as well as five flavour cartridges that are the equivalent to five packs of regular cigarettes. Looking through all the things that you get with this Basic Starter Kit you can understand why electronic cigarettes are such a great value compared to usual tobacco cigarettes. For an even better experience, you can get their Pro Starter Kit, which is one of the preferred choices for new electronic cigarette users. It contains all the accessories that are included in the Basic Starter Kit but it gives you additional options when selecting the battery types, as you can get long and short batteries. It also gives you more flavour cartridges (10), all for $79.99. If you intend to go all out on a complete vaping experience and want the full compliment of amazing accessories that EverSmoke can offer, you can opt for their Ultimate Starter Kit which costs $149.99. Apart from including everything that you get with the Pro Starter Kit, you also get a portable charging pack that looks like a cigarette box and can be conveniently carried everywhere. You also get 15 flavour cartridges for a long lasting vaping enjoyment. For those who want to share their vaping, the most convenient option is the Couples Kit. 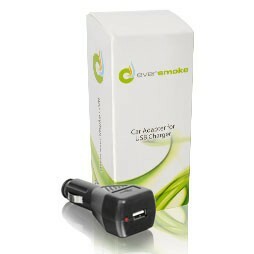 It offers great value for money as it includes everything from the Basic Starter kit multiplied by 2, as well as two car charging adapters. 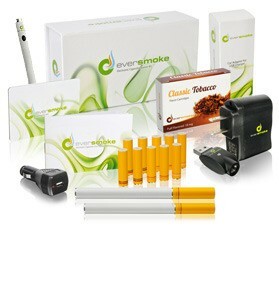 If you and someone else in your life are looking for the right start in the world of electronic cigarettes, you should go for this kit, that costs $99.99. EverSmoke also offers disposable e-cigarettes that offer around 500 puffs and that are ideal for people that want to try e-cigs before purchasing a full kit or for those times when you forgot your e-cig at home and need a quick fix. Prices range from $14.99 to $37.49. 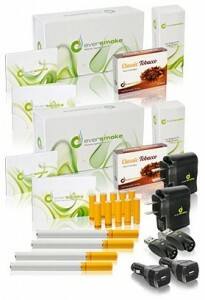 Read some more on Eversmoke disposables here. The vapour production is one of the strongest points of EverSmoke, thanks to the quality of their batteries and their VaporFlo technology. The fact that they are dedicated to offering a great customer experience really shows. Their selection of flavours is varied and will satisfy all tastes but it is important to keep in mind that the strength and intensity of their tobacco flavours may be best enjoyed by heavy smokers. 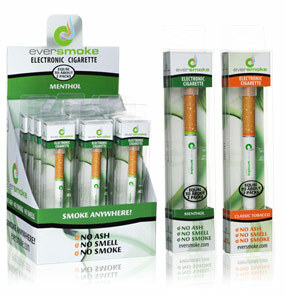 In any case, EverSmoke are a good option for anyone that is looking to make the switch from regular cigarettes to the world of e-cigs.